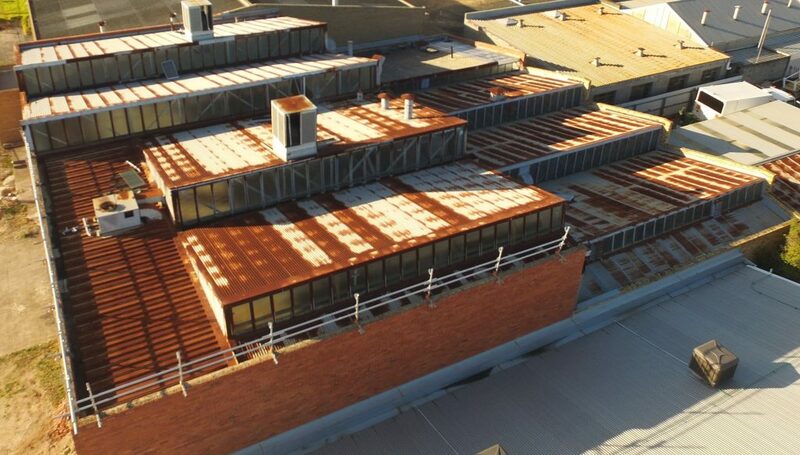 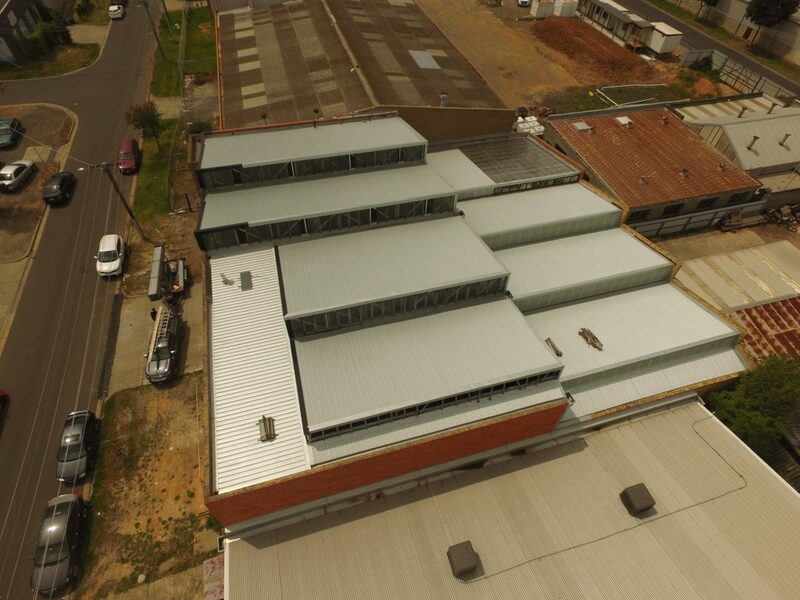 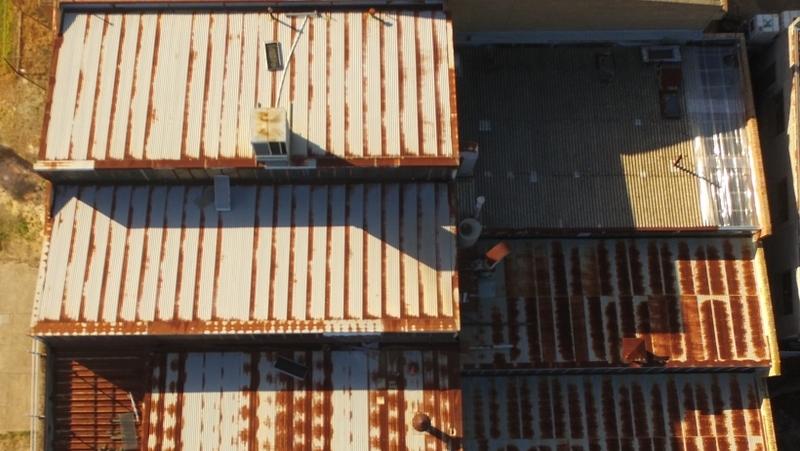 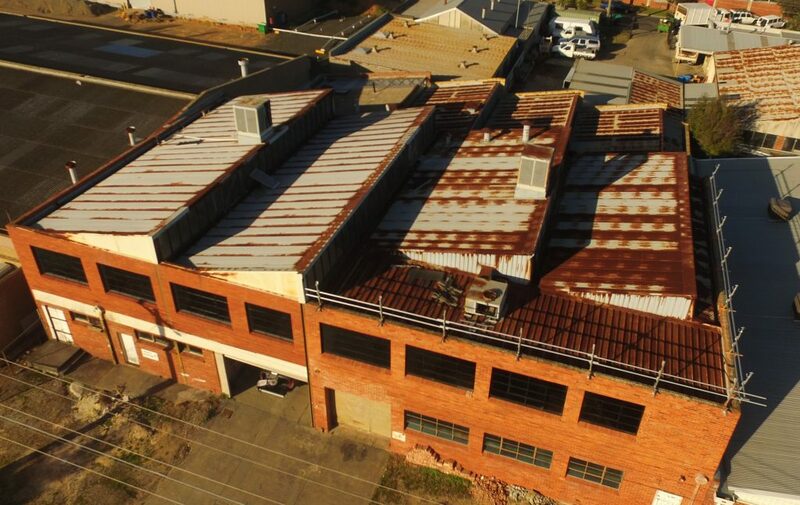 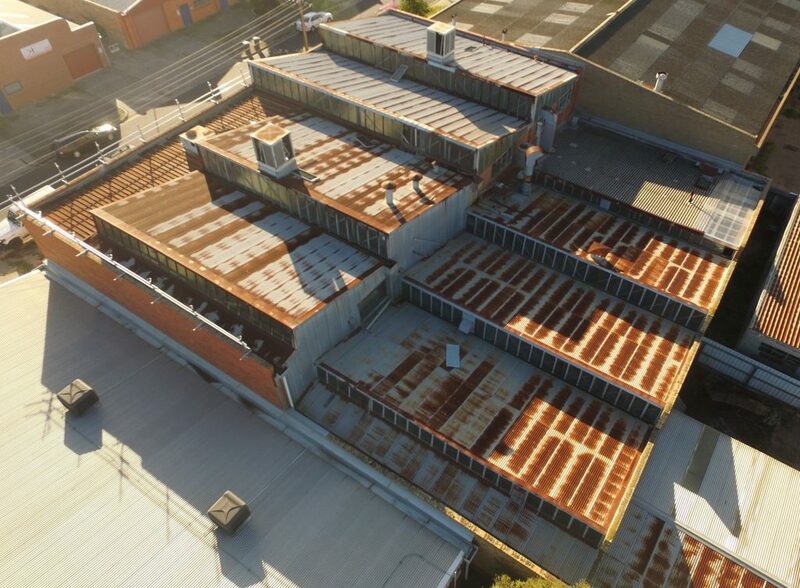 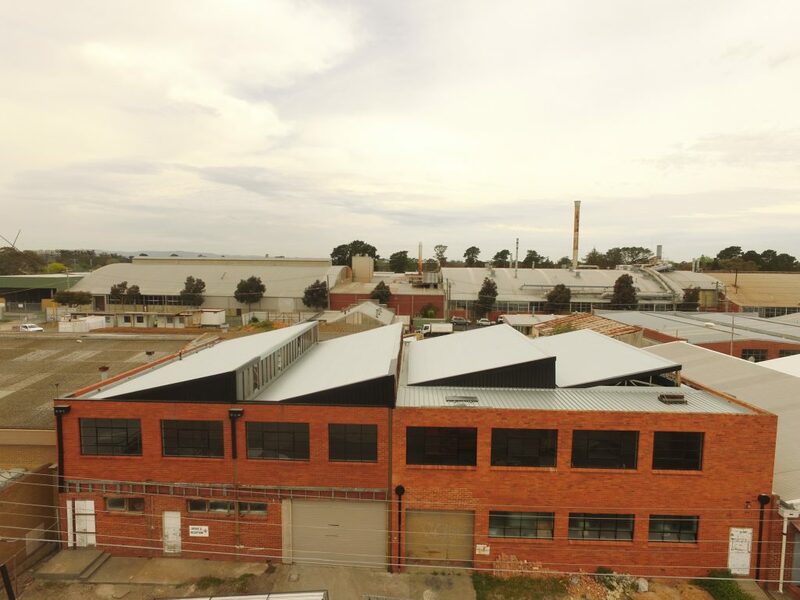 The old metal roof and wall cladding was removed and replaced, installing brand new BlueScope Plain Zincalume Corrugated and Speed Deck materials. 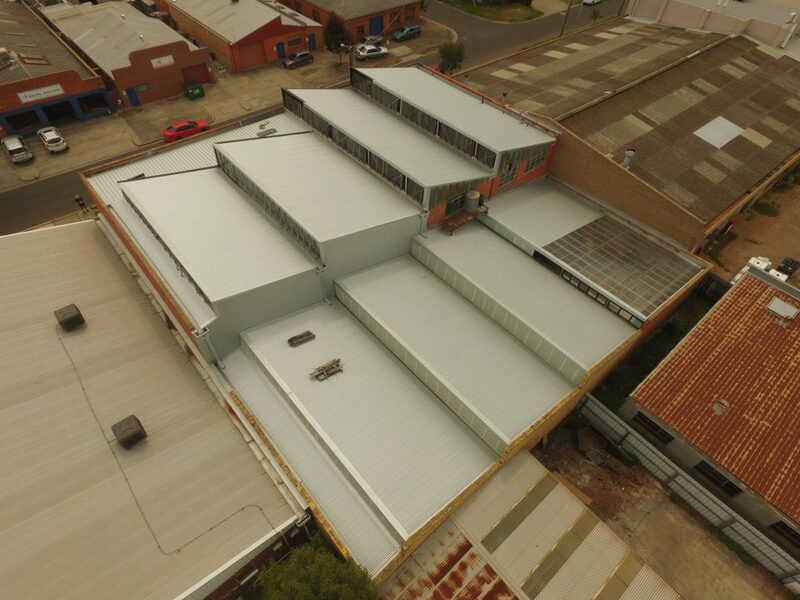 The wall cladding, visible from the front of the building was replaced with Colorbond materials, in the colour night sky, giving the façade a modern look! 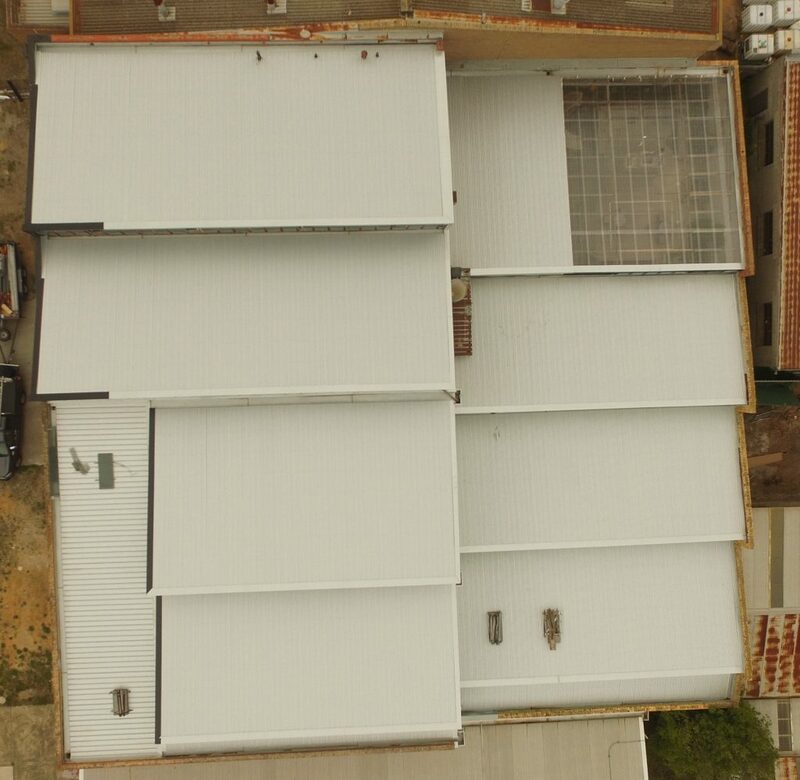 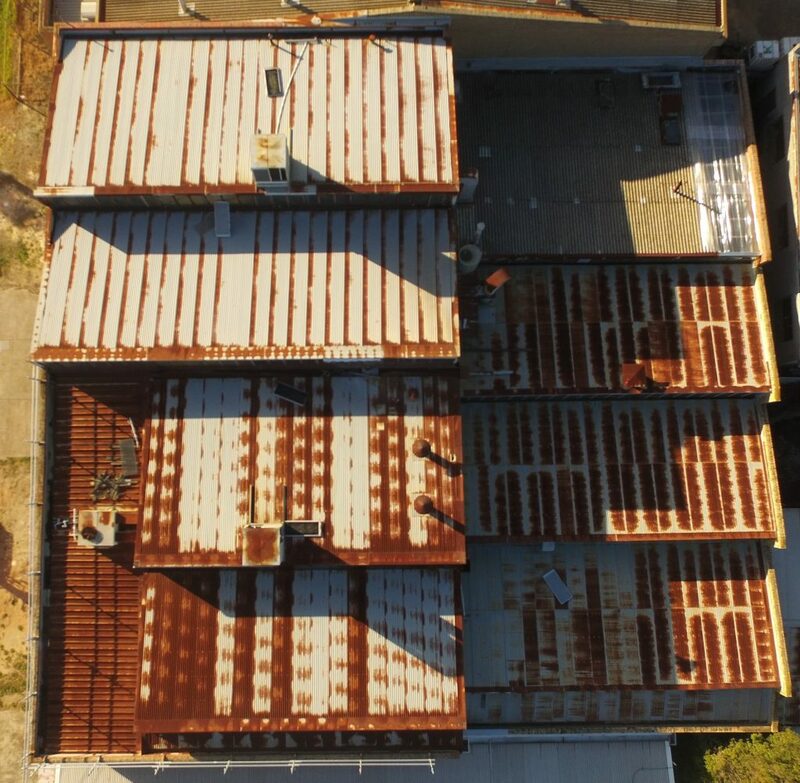 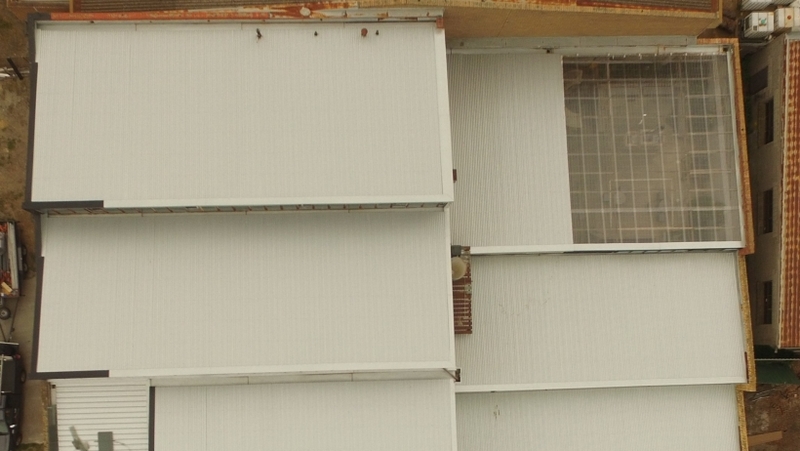 The asbestos roof was removed, and Corrugated Polycarbonate sheeting replaced the area.